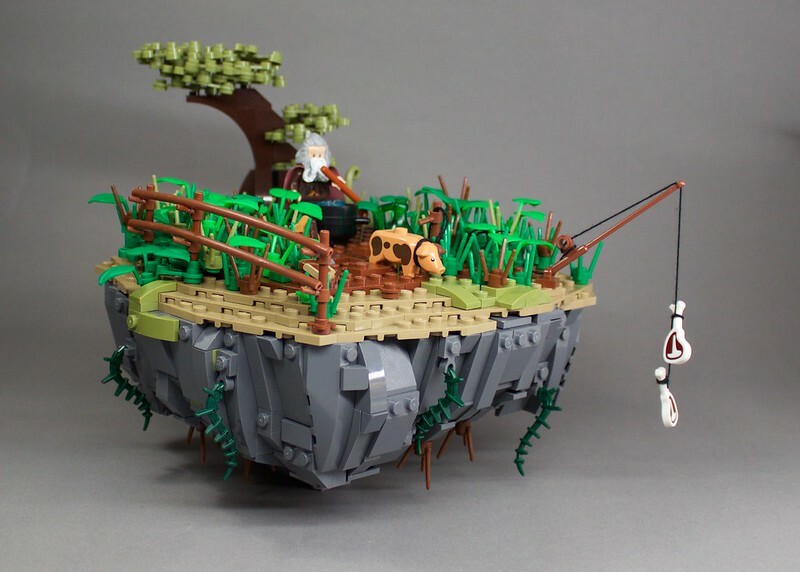 LEGO Fan and flickr.com member Wookieewarrior has recently created a spectecular MOC that named The Lost Dragonhunter. He modeled perfectly rounded rock shaped flying island. He inspired from an old TV Show "Dragonhunters-Die Drachenjäger" from Germany. His remarkable usage of bley pieces created a well designed rocky island. He perfectly used greeneries to designed a natural-looking earth. I mostly liked building technique of fence, try to use in my future designs.